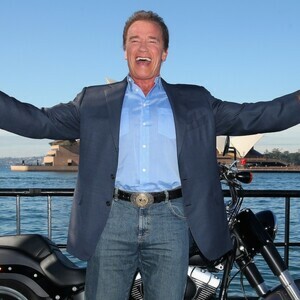 Arnold Schwarzenegger net worth: Arnold Schwarzenegger is an Austrian-American bodybuilder, model, actor, businessman, and politician who has a net worth of $400 million. Arnold Schwarzenegger was born on July 30, 1947 in the tiny village of Thal, Austria. His father Gustav was the local chief of police and his mother was a homemaker. In 1960, Schwarzenegger’s football (soccer) coach took him to the local gym and introduced the 13 year old to the world of body building. His father originally wanted the young Arnold to become a police officer. His mother wanted him to attend a trade school. Arnold knew he was destined for something very different outside of their small Austrian village. After learning that some recent winners of the Mr. Universe competition went on to have successful acting careers in Hollywood, Arnold immediately set his sights on becoming the most famous professional bodybuilder in the world. When Arnold wasn’t in the gym pumping iron, he could be found in the local movie houses watching his bodybuilding heroes on the big screen. In 1965, Arnold won the Junior Mr. Europe Contest. In 1967, at the age of 20 he became the youngest person to win the Mr. Universe title. Arnold would go on to win the title three more times. Even with all of his success as a bodybuilder, Schwarzenegger still found time to attend business school in his spare time. In September 1968, at the age of 21, Schwarzenegger moved to America with $27,000 to his name, all of which was saved up from winning competitions. $27,000 in 1968 is equal to $182,000 after adjusting for inflation, so it was no small sum. Soon after arriving in Hollywood, Arnold began making small investments in real estate. He bought a small plot of land in Palmdale, California that was rumored to soon become the new home of a supersonic airport. Though this first investment flopped, Arnold was undeterred. He took his remaining funds and borrowed $10,000 from his trainer at Gold’s Gym in Venice, California to buy an apartment building. The purchase price was $214,000. A year later he sold the building for $360,000. He then traded up to a 12 unit building, followed by a 36 unit building, followed by a 100 unit building. Each time Arnold sold a building, he would pour the profits into the next venture to avoid taxes and increase his potential future return. By the time he was 25 years old, Arnold had become a real estate millionaire. This all happened well before he was well-known actor. In fact, the real estate profits allowed Arnold to be more picky when it came to the acting roles he was being offered. In 1970, he was awarded his first “Mr. Olympia” title, which he would go on to win several more times during his career. After winning Mr. Olympia, Arnold was given his first big break in the film business when he was cast in the feature film “Hercules in New York”. Arnold’s fame became even more well known in 1977 after the release of the bodybuilding documentary “Pumping Iron”. His fame continued to grow with movies like “Conan the Barbarian” but his career didn’t really take off until he was cast in the 1984 blockbuster “The Terminator”. He earned $75,000 for his work in The Terminator, which went on to earn $80 million worldwide. After Terminator, Arnold’s career was launched into the stratosphere. He followed up with hits like “The Running Man”, “Red Heat”, and “The Predator”. He even dabbled in comedy with Ivan Reitman’s 1988 film “Twins” which co-starred Danny Devito. For “Twins”, Arnold, Danny and Ivan all agreed to take zero salary from the studio in exchange for owning 40% of the film (13.33% each). The movie was a smash hit and went on to earn more than $215 million worldwide at the box office alone. It was also a hit on VHS and on cable. In a March 2014 interview, Arnold claimed that he earned more from “Twins” than any of his other movies throughout his entire career. He said the same is presumably true for Reitman and Devito. The trio would go onto reunite in the film “Junior”. 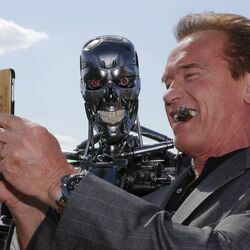 In the 1990s, Arnold returned to his role of the Terminator with his friend and director James Cameron. The two would even go on to even more success with “True Lies”. Schwarzenegger rounded out the 90s with movies like “Last action Hero”, 1996’s “Eraser”, and finally “Batman and Robin”. Schwarzenegger has been a long time member of the Republican Party. He even appeared at the 2004 National Republican convention making a speech on why he became a republican. In 2003 he shocked the nation when he announced on “The Tonight Show” that he was running for Governor of California. Arnold served as Governor from 2003-2011. 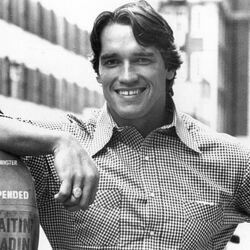 By The Time He Was 25, Arnold Schwarzenegger Was A Multi-Millionaire. And It Had Nothing To Do With Acting.